At 12:28 p.m. this afternoon, Southwest Airlines made its own history. The Dallas-based carrier, one of the first low-fare airlines, completed its first international flight on its own brand today when it took off from Baltimore-Washington International Airport at 8:39 p.m. and landed in Oranjested, Aruba. 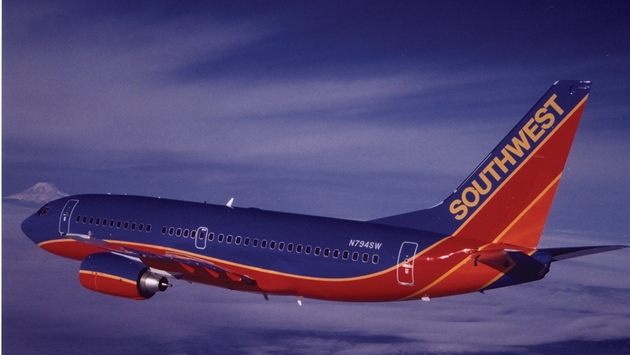 Southwest originally started as an intra-Texas airline to better facilitate travel among the triangle in Texas between Dallas, Houston and San Antonio. Four decades later, it not only landed in Aruba but also had flights scheduled today to Jamaica and The Bahamas. And, the flights were Southwest-branded. Prior to today, Air Tran – which Southwest acquired two years ago – had handled all international flights for the combined airline. Southwest Airlines previously announced details to convert by the end of this year all international service offered by wholly owned subsidiary AirTran Airways, including flights to Mexico and the Dominican Republic. "Thousands of our employees have a hand in launching today's flights, which begin to bring our convenient and affordable way of air travel to the world and broaden the horizon for more than 100 million customers who fly with us every year," Teresa Laraba, Southwest's Senior Vice President of Customers for Southwest, said in prepared remarks during a Caribbean-themed celebration and news conference near the departure gates at Baltimore/Washington International Thurgood Marshall Airport. "We've grown through four decades of profitable service to carry more domestic air travelers every day than any other airline, and this next chapter plants a flag for Bags Fly Free and No Change Fees in foreign sand."